This article will show you how to easily install, setup, and manage/monitor Apache Cassandra on a Windows machine. 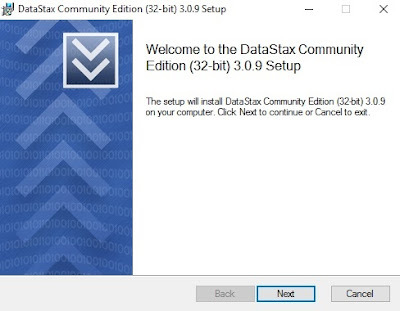 You must have Datastax community edition. You can download Cassandra from Apache website. Step 1:- Run the Datastax community edition setup. Following page will be displayed after running the Setup. I am installing 32 bit version. You can install 64 bit version as per your requirement. You can see Cassandra version that you are going to install. Press the 'next' button. You can see the checkbox for license agreement. 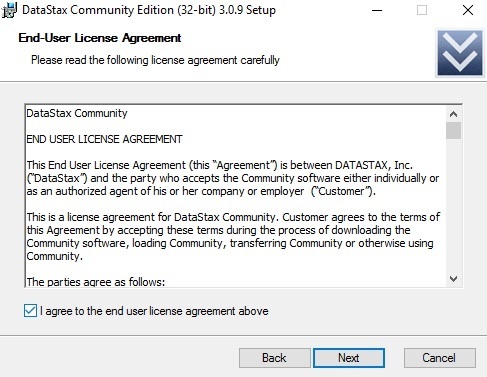 Mark the checkbox and press the next button. 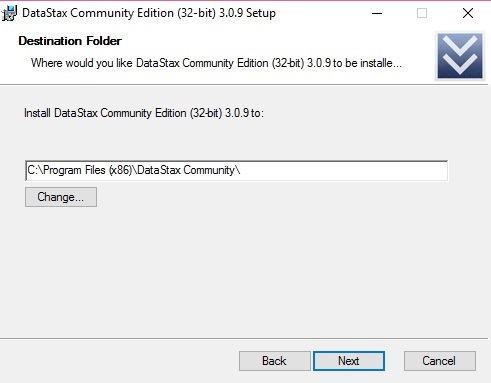 You can see the default location is C:\Program Files. You can change installation location as per your requirements. After installation is completed, click on next button. Install is completed and finish button will show .press the 'Finish' button.